When a person travels to Mexico, or any other place on the planet for that matter, they experience the destination and they experience the people that they come in contact with. But the total experience doesn't stop there. The people they interact with while traveleing, both the local people as well as other travelers, have thier own experiences based on their interaction with the people that they meet each day as well. In other words, to take a twist from an old saying, no man is an island. We affect others wherever we go in life and this is especially true when traveling. Whether we want to or not, we have a direct affect on those we come in contact with while traveling. And whether we like it or not, we all become ambassadors of our country when we leave the United States and visit other countries. The responsibility that comes along with visiting other countries is recognized by some travelers, and not recognized by others. Some people go out of their way to make sure that they are gracious and respectful travelers, others are just out to have a good time and don't really care what others think. Hence the term 'Ugly American'. It's a shame when a person who is traveling doesn't recognize that every time they meet a new person they have the unique opportunity to affect that person in a very positive way. Although there are no hard and vast guidelines to differenciate between a 'tourist' and a 'traveler', there seems to be some agreement within the industry that tourists can be less aware of the bigger picture while traveling, and that travelers tend to be more in harmony with the people and places that they visit. In an effort to shed a bit more light this issue, Carlos Fiesta thought it would be a good idea to share some of the ideas below. Keep in mind that there is nothing wrong with being an average tourist. But it doesn't take much more effort to become a seasoned traveler. Tourist: A tourist thinks the vacation begins when they arrive at their hotel and unpack their bags in their room. Traveler: A traveler understands that the entire journey is the experience, not just the destination. 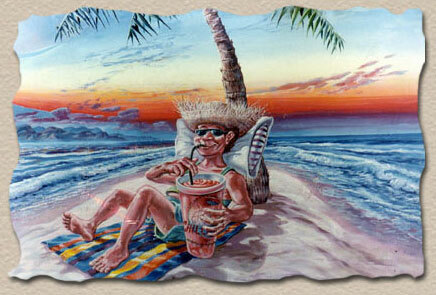 Tourist: A tourist thinks the destination is there soley for his or her own personal enjoyment. Traveler: A traveler understands that he or she is a guest in a foreign land and acts accordingly. Tourist: A tourist is full of anxiety about the many unknowns that lie ahead during a trip. Traveler: A traveler is full of enthusiasm for the people, places and experiences that lie ahead. Tourist: A tourist looks at a trip as an opportunity to show off nice luggage, fancy clothing and expensive jewelry. Traveler: A traveler looks at a trip as a chance to let go of the material posessions that they expereince each day at home. Tourist: A tourist avoids starting up conversations with people they don't know and are afraid to meet new people. Traveler: A traveler seeks out people they don't know and looks forward to new relationships with others. Tourist: A tourist tries to impress those he meets by talking about himself, his status and his possessions. Traveler: A traveler likes to listen to those he meets while traveleing to learn more about the world and it's diverse people. Tourist: A tourist stays in the Tourist Zone and is afraid to venture out into the other parts of the country he is visiting. Traveler: A traveler uses the services of the destination city as a home base to explore the real country beyond the Tourist Zone. Tourist: A tourist eats their meals at the hotel restaurant and orders food that is not much different than the food they eat at home. Traveler: A traveler asks the local people for a good place to eat that is off of the beaten tourist path. Tourist: A tourist looks at a vacation as a way to escape their lives back at home in an effort to release the stress they have accumulated. Traveler: A travelers looks at a vacation as one more life experience that is just as much a part of his reality as when he is at home. Tourist: A tourist shows up at a destination without having done any research on the history, people and geography before arriving. Traveler: A traveler finds joy in researching the destination and as a way of making the trip more enjoyable for himself and for those he comes in contact with. There is no better way to enjoy a trip to Cancun than to research the destination before you go. 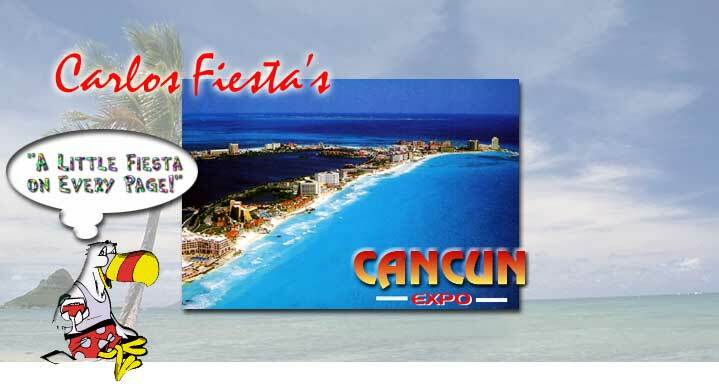 Travel books and Internet travel guides such as Cancun Expo will provide travelers lots of information and add plenty of depth and fun to any Cancun getaway!